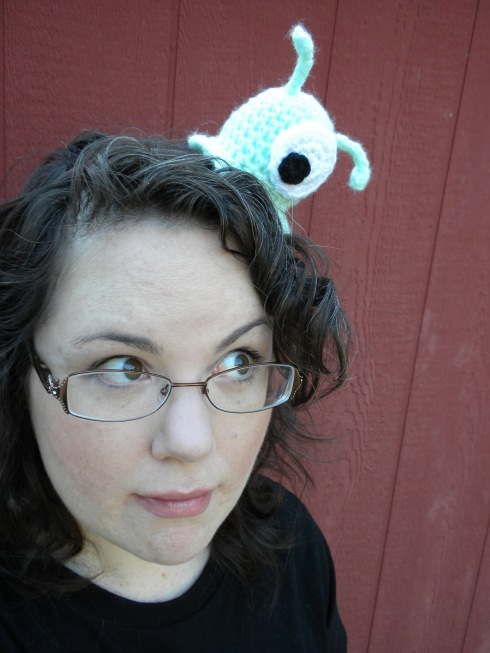 Tiny Purrs is run by Kristen Stevenson, an obsessive yarnie, art school veteran and cat lover. Kristen may be contacted at tinypurrs at gmail. Content of tinypurrs.com is copyrighted 2012-2014 by Kristen Stevenson. This human is under brain slug control. December 2, 2012 at 5:59 pm. Permalink. Do you have a FB page? I made your Scoodie and only was able to put the link in my description to your blog page :D) Thanks. October 2, 2013 at 1:29 pm. Permalink. October 5, 2013 at 8:24 am. Permalink. I LOVE your Yub Nub Scoodie! I’ve made one for my niece and nephew that are the way and will be making them for my own son & daughter. I know your pattern can’t be sold, but I haven’t found anything on selling the finished product that I have made. I’ve seen many free patterns that allow the finished product to be sold with whom pattern credit goes to. Is the finish product copyrighted and unable to be sold as well? May 19, 2015 at 10:27 pm. Permalink. May 19, 2015 at 11:28 pm. Permalink.